SPOTLIGHT: Hot Pre-Code Hopkins (I) | THAT'S ENTERTAINMENT! 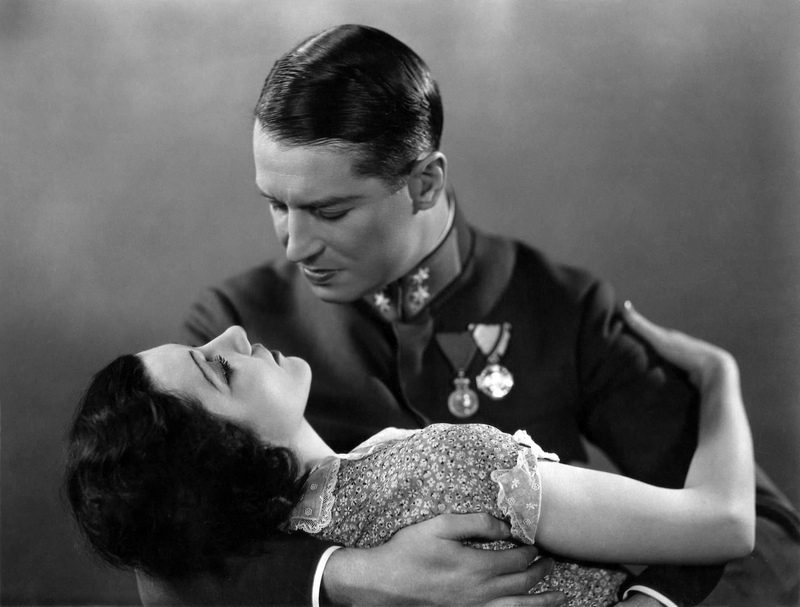 A misfired flirtation lands a young lieutenant married to a princess instead of the one he loves. 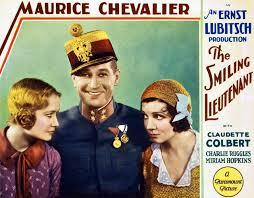 Starring Maurice Chevalier, Claudette Colbert, Miriam Hopkins, and Charles Ruggles. Based on the novel by Hans Muller. Based on the operetta by Leopold Jacobson and Felix Dormann. Screenplay by Ernest Vajda and Samson Raphaelson. 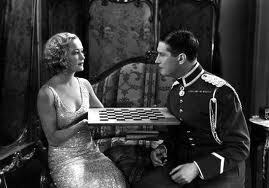 Directed by Ernst Lubitsch. It is fitting that the first post in our series on “Hot Pre-Code Hopkins” should cover a film that literally sees the Hopkins character go from frigid (old world) to scintillating (modern). How does she do it? With a little help from Claudette Colbert as her husband’s mistress. Add in the always charming Maurice Chevalier, a couple of inconsequential musical numbers, plus the Lubitsch touch, and you’ve got an amusing way to spend 90 minutes of your time. 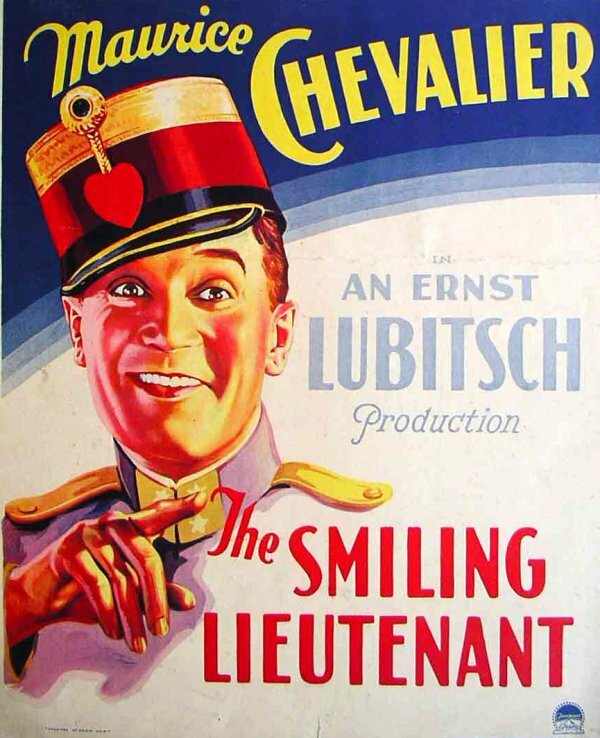 Adapted from an operetta that was itself adapted from a novel, the effervescent hand of director Ernst Lubitsch is felt throughout the entire picture — from the whimsical motions of the camera to the bouncy nuances instilled in the performances. The entire picture is fluff — not trivial or inconsequential — but light, airy, and aware of its objective: amusement. The narrative climax of the piece (of which I was aware before I viewed the film) is a scene in which a mistress gives her lover’s wife tips on how to keep her man. (Hint: it’s all about the underwear.) 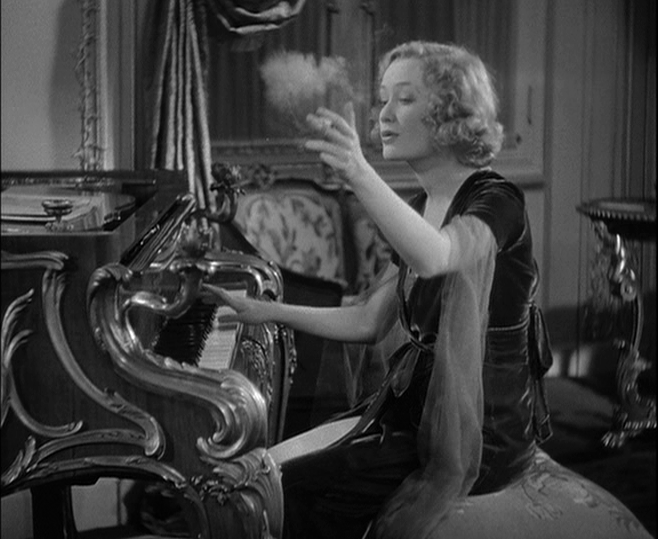 Could that get any more Pre-Code? Interestingly, the film veers away from embracing amorality by having Chevalier’s character meet and fall for his mistress (Colbert) BEFORE his marriage to the princess (Hopkins), which, we should also note, is arranged. Thus, the Chevalier character is allowed to remain as likable as his portrayer, and we don’t condemn Colbert either. The scene between the two women is the film’s most memorable, garnering the most ear-catching of the film’s musical numbers. (Although, I must admit, hearing Colbert and Hopkins, two non-singers, belting the tunes out is more novelty than audibly pleasing.) But they’re all in good fun — just like the entire film. All in good fun, and recommended for those in need of a few Pre-Code giggles. Colbert fans: this is a goodie. Chevalier fans: ditto. Hopkins fans: our girl is a stick-in-the-mud for most of the film, but she comes around by the end — once she “jazzes up her lingerie”! Come back next Friday for another Pre-Code Hopkins film! And tune in on Monday for a new week on That’s Entertainment!